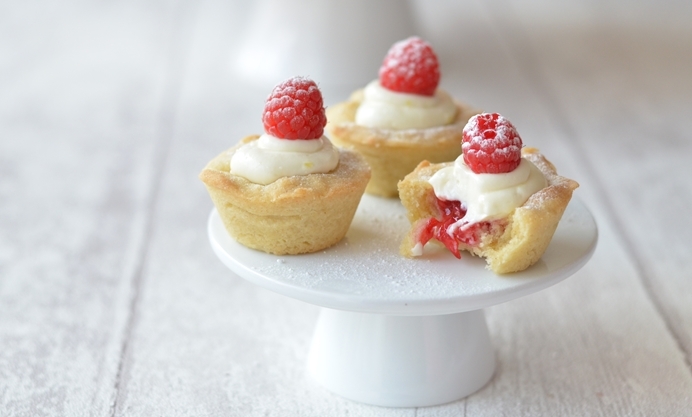 These Mini Raspberry tarts with a hint of lemon are perfect afternoon teatime treats and great to take along for a summer picnic too! 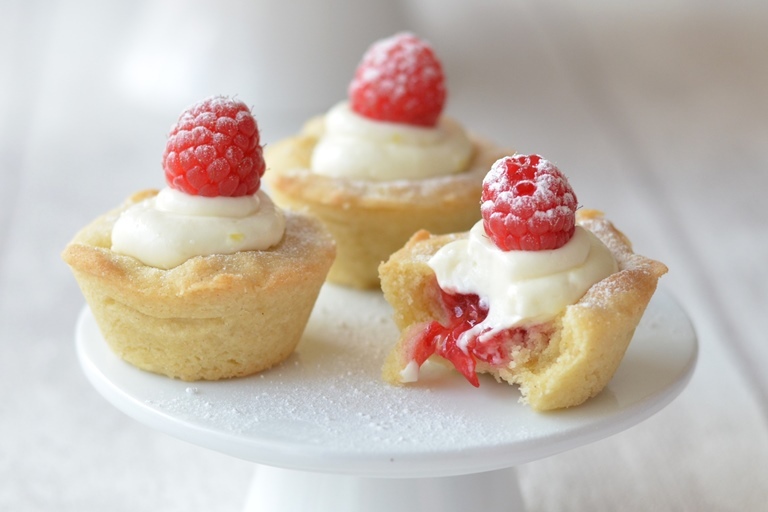 I love the flavour combination of lemon and raspberries so when I decided to make some mini raspberry tarts I added a little lemon zest to the filling, but only just enough to give it a little flavour and not to make it overpowering. I also decided to make shortbread cases rather than sweet pastry as personally I think that a pastry case only acts as something to hold the dessert in, rather than being part of the dessert. A buttery shortbread case enhances the taste of these tarts so much more than a pastry case would. Obviously it's all down to personal taste and they would work just as well with pastry cases, if that's what you prefer. I admit that delicate tart cases are not my forte and the shortbread is perhaps not as neat as it could be, so let's call these 'rustic'. They are the perfect size to pop straight into your mouth and would be great for an afternoon tea or summer picnic.